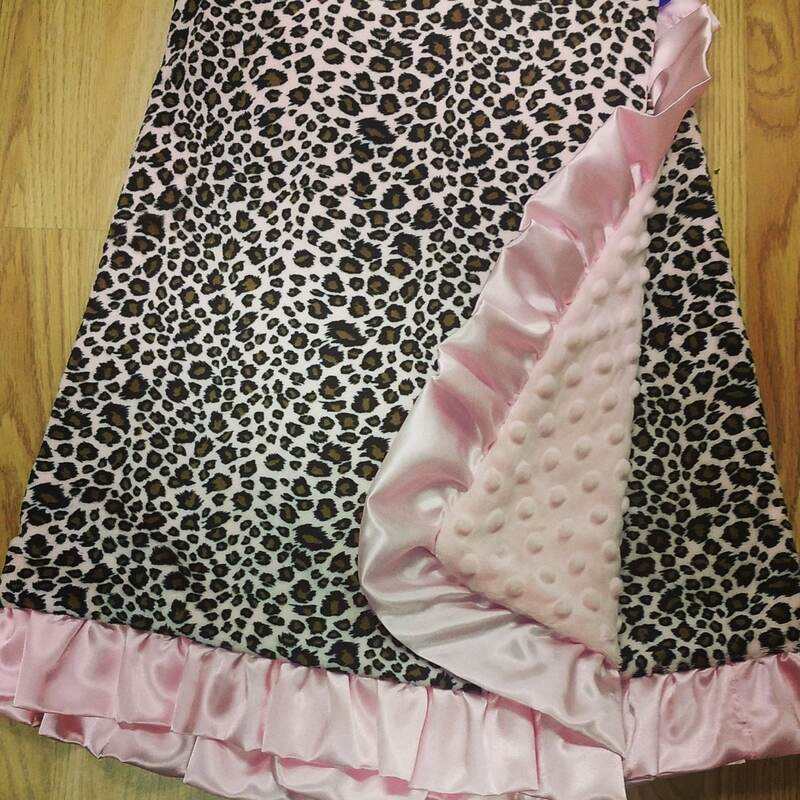 Baby Pink, Cheetah, Leopard, baby blanket. Love it - well worth the price! Thank you! OMG!!!!! This blanket turned out so pretty and I love it. I will be back in the future to shop again. Thank You!!!!!! Shipped fast, beautiful, arrived before time! !